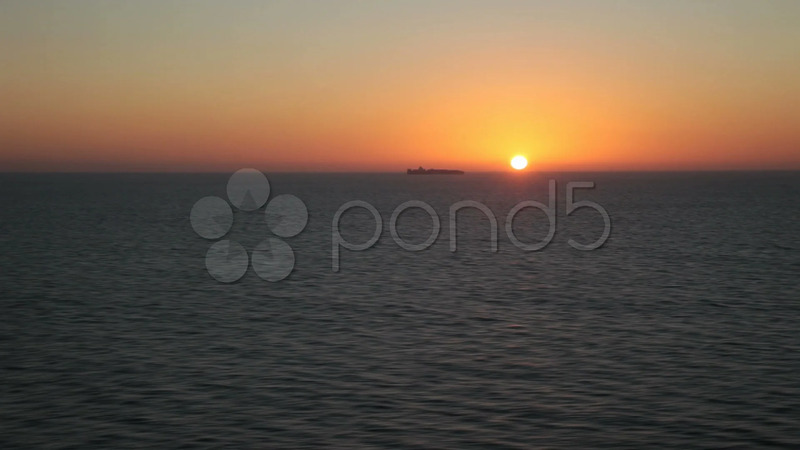 Description: Sunset over Pacific Ocean with a cargo ship on the horizon. Fast motion, time lapse. Ship passing setting sun. Don Despain of Rekindle Photo.